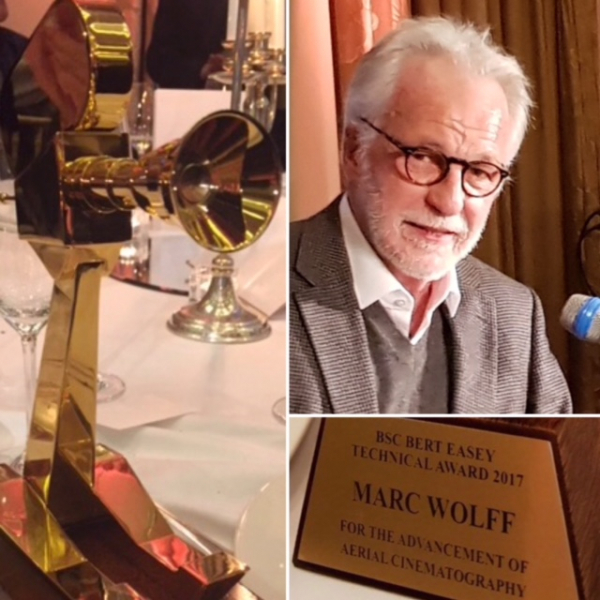 We are proud to congratulate our very own Marc Wolff, who has been recognised by the British Society of Cinematographers for his part in the "Advancement of Aerial Cinematography" with the BSC Bert Easey Award 2017. First awarded in 1949, the Bert Easey Award was named in honour of the head of the Camera Department at Denham and Pinewood Studios, who in 1947 was integral in the formation of the Society. "This award is in the gift of the BSC Board and only given to an individual or company who has contributed something outstanding in the way of endeavour"
Well done Marc, from the entire FP team!